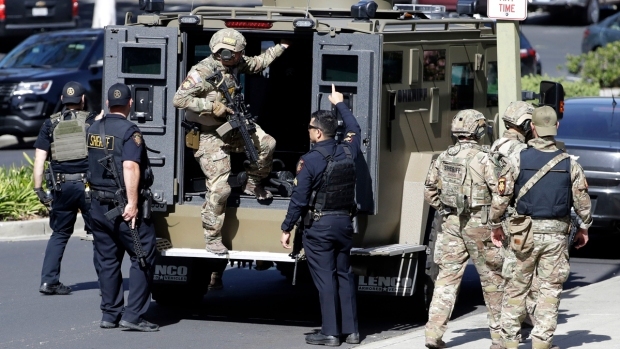 Tuesday's shooting at YouTube HQ in California had one major difference from the usual grim pattern seen in American mass shootings, NBC News reported — the suspect was a woman. Nasim Aghdam, who was in her 30s, opened fire on an outdoor dining area at lunchtime, motivated by what authorities initially believed was a domestic dispute, though police later said there's no evidence she specifically targeted her victims. Female shooters are rare. The San Bernardino shooting, Alturas Tribal shooting and Goleta Postal shooting are the only three instances in the past three decades that involved a female mass shooter. Research conducted by the New York Police Department found that only eight of 230 "active shooter" cases in the United States from 1966 to 2012 involved female attackers. Sherry Hamby, research professor of psychology at the University of the South in Sewanee, Tennessee, said that research has pointed to a variety of reasons men are more likely to be violent, including a sense of entitlement.